The more we rely on our mobile devices, the more we use the battery power. I have yet to find a phone that will last a full day whilst being used to call, text and browse the internet. Sometimes it's not always possible to plug your phone or mobile device into a wall or computer to give it a bit of a boost charge which is why I am such a fan of portable chargers. 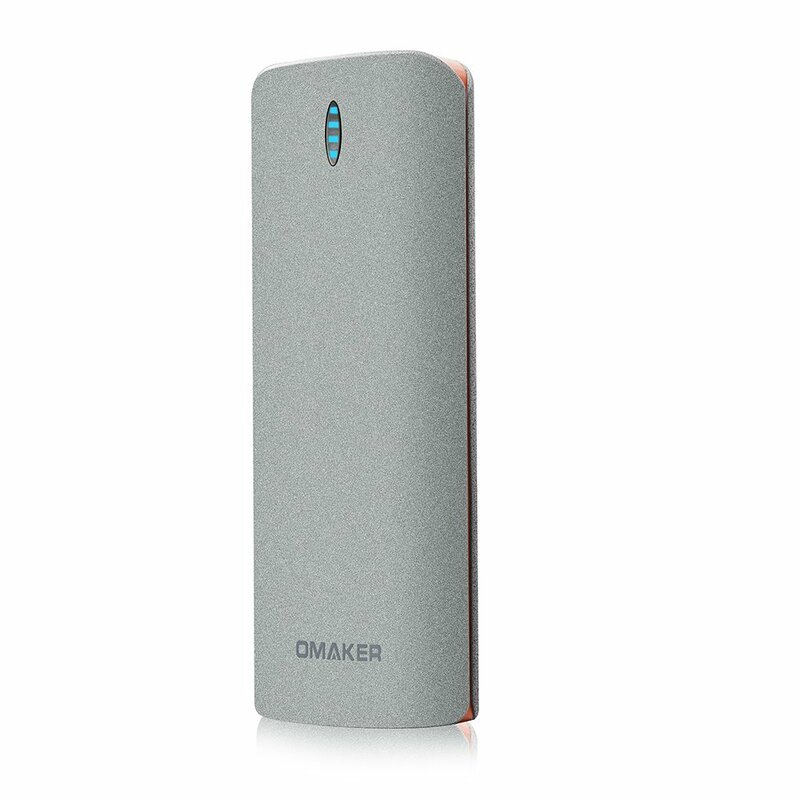 The Omaker portable power bank has three ports, one on/off button and four lights to show you how much charge is left in the power bank. There are two USB ports so you can charge two items of tech at one time and there is a micro-USB port so that you can recharge the power bank. The power bank has a weighty feel to it but it's not too heavy to carry around. It also comes with a drawstring carry case which houses the powerbank and the necessary leads. To charge an item of tech (phone, tablet, etc) you simply plug in your device, press the power button and you're away. When fully charged, the power bank has enough charge to give a phone about five or six boost charges and it took about 45 minutes to give my phone a full boost. 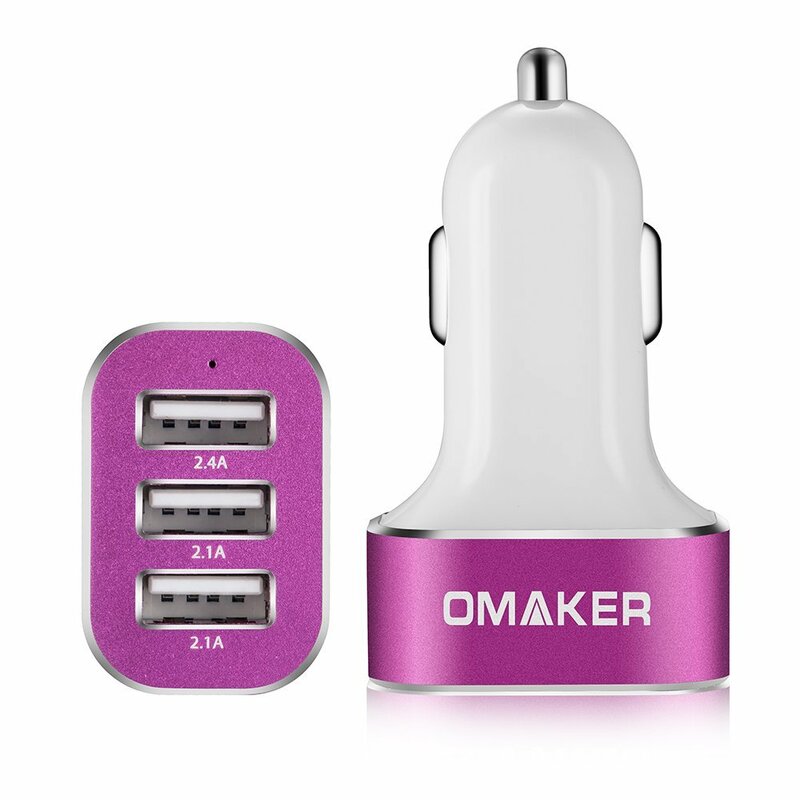 This is the first car charger I have reviewed and considering the cigarette lighter in my car is now redundant, this is a fantastic replacement idea. When plugged in, the car charger can recharge up to three mobile devices (phone, tablet, etc) at normal recharging speed. The charger has an 'intelligent internal circuit' which prevents over-heating and over-charging plus charging will auto-stop when the device battery is full. I would recommend using this recharging device when the car engine is running although I shouldn't drain your car battery too much if used when the car is not running.